To learn about all Ashby Village events, visit our online calendar. Join our August "meet and greet" Living Room Chat! An Ashby Village member opens his or her house to those who might be interested in joining Ashby Village. You'll have the opportunity to hear what it means to be part of the Village. The Healthier Aging Team is happy to announce a new and exciting collaboration with The Berkeley Adult School! The class will be taught on Wednesday mornings by Anne Aaronov, a dancer, massage therapist and geriatric counselor, who has volunteered at Ashby Village for the last several years on our Social Care Team. A small registration fee will be requested. Embracing Change: "Doing it My Way"
Sometimes we think about it, sometimes we avoid doing so; we experience it around us, wonder how or when it will happen. No matter what, mortality is inevitable. Anticipating it can give us peace of mind. Why not control the things that we can and are important to us about it? Please join us for a conversation about mortality along with practical steps to take in order to have some control and leave dear ones prepared. Ashby Village at the Solano Stroll: Drop by! Visit Ashby Village's booth at the Solano Stroll. Stop by, take a break, bring your friends and be an Ashby Village ambassador! 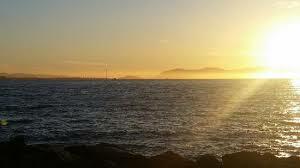 Come enjoy two hours of fun and games paddling with your fellow volunteers at the Berkeley Marina with DragonMax. Friends and family are welcome but SPACE IS LIMITED! Light lunch will be provided. The volunteer behind the Beautification Team's rejuvenation of the patio at Ashby Village's new site is on a mission to revive beloved gardens that need attention. Melissa Beidler took a break from working on her own garden to share her enthusiasm for people and their gardens. Are you familiar with "Volunteers for Salesforce?" Understanding a new database can be exciting but also mind-blogging, we'd love some help with tips and quick tutorials on navigating this new system! Contact pat.c@ashbyvillage.org for more information. Get Your Copy of Ashby Village's guide to physical fitness "Getting on the Move in the Community"! Healthier aging depends on regular physical activity. Our colorful, comprehensive guide tells you where to "Get on the Move" in your own community (local Y's and Senior Center, etc. ), at all levels of fitness. Members can pick up a copy at Ashby Village Office. Our Transportation Guide contains both community and individual city transportation resources, with telephone numbers and online information. Besides Ashby Village volunteer driver services, there is also information on the many other agencies that offer discounts to seniors. App based transportation companies such as Lyft and Uber have a contact number for those who do not have a smart phone or computer. Members can pick up a copy at Ashby Village Office. Ashby Village's Caring Team mobilizes community outreach and support for members who are dealing with illness or other challenging circumstances. "You can say all you want about AV being a community, but you can't manufacture community; it has to shape itself. I felt it yesterday." With those words, member Pat Hom captured the universal feeling on July 8 among those attending Ashby Village's first open house at its new headquarters, introducing the space to more than 250 attendees, including members, volunteers and 115 guests. On May 30, Ashby Village's Hamlet and Kaleidoscope (Kensington) Neighborhood Groups hosted a joint potluck and live presentation from the Berkeley Public Library Adult Story Time. The latest production in the troupe's Southern Gothic Voices series, Carson McCullers' short story "A Tree, A Rock, A Cloud" is a poignant dialogue between a weary traveler and a newspaper delivery boy about the science of love. Check the online calendar for all Neighborhood Groups events. Joy Totah Hilden, Ashby Village member, will present a slide program on Bedouin Weaving, a subject about which she is an authority. She will show examples of Bedouin weaving, the weavers at work, and their families. A representative from a company specializing in eyewear with absorptive filters, will provide a basic understanding of how different lens filters improve contrast, reduce glare and will also talk about lighting. Are you passionate about education and kids? 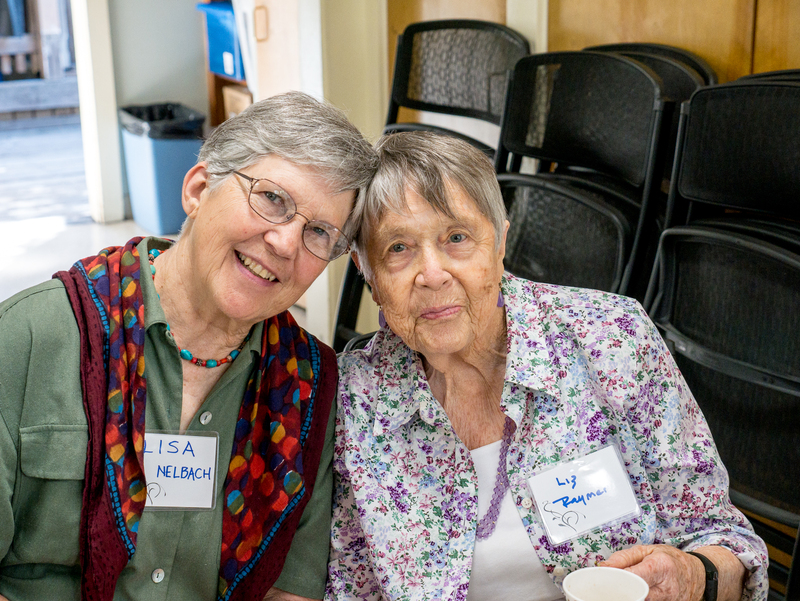 Experience Corps Bay Area (ECBA) is a nonprofit organization that recruits, trains, and supports older adult volunteers to serve as literacy tutors in K-3 classrooms. If you are mobile (sessions occur at the school sites in Berkeley/Oakland), can commit 4 hours per week, and love working with Kindergarten through 3rd grade kids, please contact fpayne@aspiranet.org or attend the upcoming information session on August 7, 10:30-11:30 AM, Berkeley Bowl West Cafe, 920 Heinz Ave, Berkeley. away on July 13th at the age of 87. She suffered a stroke in her sleep and died after 8 days of being in a coma. She was never aware of what happened - a blessing. Sheila had a beautiful life in India, Palestine, England, Italy, Manhattan, Marin, and Oakland, and she gathered a remarkable circle of friends of all ages and nationalities around her over the decades. She treasured every chapter of her global life and happily shared wonderful stories about her experiences with everyone she met. She loved Ashby Village - a source of new friends and meaningful activities that gave her an instant social life in the East Bay when she moved to Oakland at the age of 74... and provided a great deal of support as she aged. Thank you for befriending Sheila and being part of her story. If you feel moved to do something to remember Sheila, please give a little extra to Ashby Village the next time you volunteer or donate.